“While rather farfetched today, premature burial did occur occasionally in Poe’s day, although not to the extent one would think after reading his tales on the subject. Some instances are recorded in George Alfred Walker’s Gatherings from Grave Yards (1839)…apparently due to a lack of sophisticated medical equipment. In order to avoid this problem, a “life-preserving coffin” was invented in 1843, mentioned by N.P. Willis in the New Mirror of November 18, so constructed as to give the victim air and a means to signal to those above ground that he was alive. If you’d like to read “The Premature Burial,” you can for free here: http://www.eapoe.org/works/tales/preburc.htm. If you’d like to own a copy in print, you can get it as part of his complete works here: http://amzn.com/0385074077. If you’d like it for your Kindle, it’s available here: http://amzn.com/B002LIT0F0. Edgar Allan Poe, “The Premature Burial,” in The Annotated Tales of Edgar Allan Poe, ed. Stephen Peithman (New York: Avenel Books, 1986), 149. Ibid., 151. It is, however, interesting to note here that the very first published appearance of “The Premature Burial” that included the passage was in 1844, so obviously, Poe wrote the story long before this newspaper article appeared. This is how it is spelled in the original text. 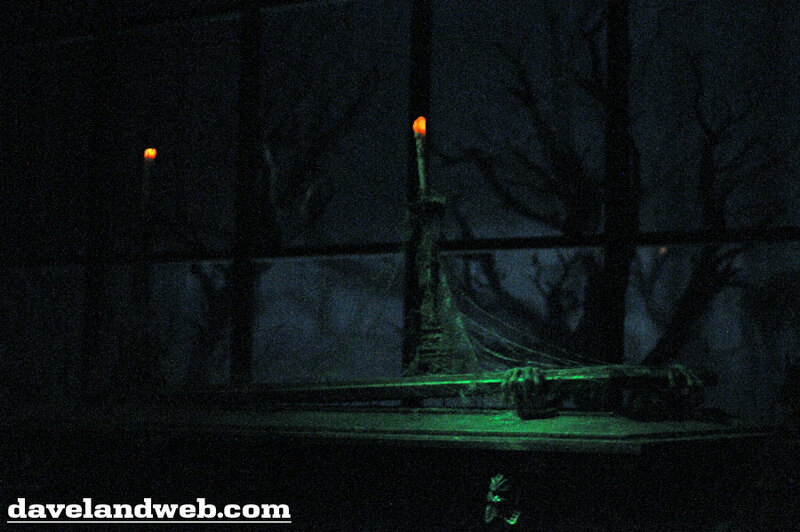 Posted on October 17, 2011, in Deep Thoughts & Fun Stuff, Skeletons in the Swimmin' Hole -- Tales from Haunted Disney World and tagged Disney Parks Haunted Mansion, Disney's Haunted Mansion, Edgar Allan Poe The Premature Burial. Bookmark the permalink. Leave a comment.